Assemble at the KLIA for check-in flight to Korea – Seoul. Surrounded by Gyeongbokgung Palace, Changdeokgung Palace and Jongmyo Royal Shrine, Buckchon is a traditional residential area in Seoul with countless Hanoks which is the Korean traditional houses. Buckchon is also known as “the street museum in the urban core”, for its many historical spots and cultural heritage sites. a volcanic rock that was created from an eruption about two million years ago, its looks like a roaring dragon rising from the sea into the sky. The famous shopping district on the Jeju Island. experience the phenomenon of going uphill with the vehicle’s engine off. enjoy the scenic views and spectacular natural surroundings of one of 360 parasitic volcanoes which is the world’s biggest crater at seacoast. “Seopji” is the old name for the area, and “Koji” is Jeju dialect meaning a sudden bump on land. to see the Korean traditional folk custom material and you can meet the island people who still live behind the stone courtyard walls in thatched roof rock homes. a glass theme park garden exuding romance and fantasy. It is suitable visiting place for parents and children. TESEUM is the world’s first large number of wild and marine life, as well as the nature of the animal to the actual size and sewn into plush doll and teddy bear show combining new teddy bear theme park. is formed by houses built in staircase-fashion on the foothills of a coastal mountain, earning this village the nickname of “Machu Picchu of Busan”. The many alleys cutting through this community are vibrantly decorated with murals and sculptures created by the residents. Busan largest seafood market and also the South Korean wholesale seafood market. It across the sea 12-13 meters of the trail, only 40 meters from the sea surface height. is a park located in Jung-gu, Busan, South Korea, an area of about 69,000 square meters. Busan Tower height of 120 meters, a panoramic view of Busan and there are about 700 species of lush plants in the park, also erected in the name of the Korean era, General Li Shun Chen bronze statue and 4.19 monument. Haeumdae Beach is probably the most famous beach in the country. reproduces the old scene of a whale-catching fishing village through areas like Whale Plaza, Jangsaengpo Old Village, Prehistoric Whale Experience Garden, an aquatic botanical garden and other themed area as well as a sculpture park. it is the first and only whale museum in Korea and stands on what used to be a central area for the Korean Whaling industry. is the representative relic of Gyeongju and was designated as a World Cultural Asset by UNESCO in 1995. The Beauty of the temple itself and the artistic touch of the stone relics are known throughout the world. Lotte World Adventure has districts representing different countries with various kinds of facilities and souvenir shops. 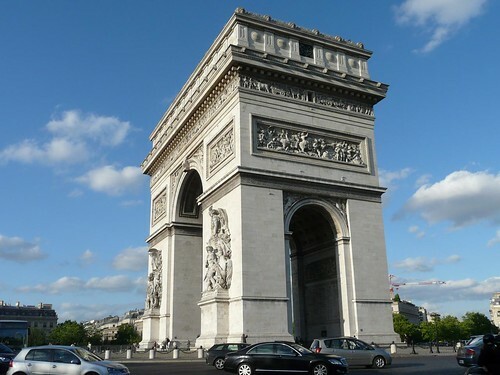 You can enjoy watching parades, numerous films, laser shows, and tasting a variety of international cuisines year-round. Lotte World Adventure is the largest indoor amusement park in the world. Deoksugung was originally the residence of Prince Wolsan, the older brother of King Seongjong. National Ginseng Shop famous Korean health product such as ginseng, ginseng tea, ginseng candy & etc. Cosmetic Shop shop for varieties of famous Korean cosmetic & skin product. It is not just a cool visual experience for visitors and visitors can also do photo shooting with interesting poses. The photographs taken will have a feeling of entering the painting. Leave an eternal memorial for this interesting trip. The Ice Sculpture Museum is an open pavilion of the Trick Eye Museum. It is completely an ice world and has ice sculptures of various themes. It is suitable for couples to experience together. The Painters Hero is an innovative non-verbal performance that stages the entire process of painting combined with incredible visual effects and a witty blend of mime, dance and comedy. Osaka can be considered as one of the places in which many foreigners should visit as the destination for their long-awaited vacations. Here are some of the reasons why you too should visit Osaka today! The city is home to both historically valuable and pleasing locations for tourists to visit. The most famous spot is the Osaka Castle in which the building holds a major role in the unification of Japan. A highlight of the attraction is that it is one of the best locations for to glimpse the traditional cherry blossom trees blooming during spring season or as it is called locally as hanami. Another beauty of Osaka is the Shitennoji Temple which is the first Buddhist temple and the Sumiyoshi-taisha Shrine which is the oldest shrine in the whole of Japan. A true must see to experience the Buddhist culture in Japan. In addition to that, the city is known for its passion in culinary to the point that a local expression was created to describe the eccentric feeling. Kuidaore is an expression to eat oneself to ruins and bankruptcy where one spends too much in devouring delicious delicacies. Osaka takes the expression to the heart as the street of Dotonbori offers food enthusiasts the local specialties of the city which are takoyaki (grilled octopus in bitesizes) and okonomiyaki (mixed grilled ingredients). All-in-all, the beauty of Osaka is that it vibrates an atmospheric feeling of festivity and celebrations through its love for food and appreciation of traditional culture. However, if tourists have scoped through the entirety of Osaka and are still wanting more sightseeing, then neighboring cities to Osaka are as exciting. It only takes 15 minutes to get from Osaka to Kyoto, which is the capital of Japan, through the high quality bullet train service. Kobe, Nara, Nagoya, and Wakayama are also within kilometers from Osaka as these highlighted areas also offer their own uniqueness to the Japanese experience. Think it’s impossible to visit all these wonderful places without feeling overwhelmed or rushed? No need to worry as Hello Holidays is here to help! Hello Holidays provides detailed planning of the trip’s itinerary which includes preparations in the bookings of hotels and meals throughout the day. These packaged tours are all for the convenience of tourists and maximizing the local experience whilst in the county. Head to (http://helloholidays.com.my/tours/8days-6nights-osaka-shirakawa-kyoto-mt-fuji-tokyo-japan-discovery-tour-famous-hot-spring-japan-cuisine-culture-discovery/) and you soon could be on the next flight to Osaka! On March 16, the Embassy of Japan and the Japanese National Tourist Office (JNTO) Singapore office awarded the “Japan Tourism Award” to 10 Malaysian tourism companies and the “JNTO Special Award” to the Malaysian Association of Tour & Travel Agents. The award was in celebration of the highest record of Malaysian visitors to Japan and in appreciation to the travel industry, which demonstrated steadfast support and made remarkable contributions towards boosting Japan’s tourism. Last year, Malaysian tourists to Japan totalled 249 thousand, a year-on-year increase of 41.3%. The number of Malaysian visitors to Japan also showed significant growth for the third consecutive year. This achievement, in addition to the visa exemption and weaker yen, could not be obtained without the efforts of the Malaysian tourism companies. The award ceremony was held at the ambassador’s residence. ・Japan Travel Bureau (Malaysia) Sdn. Bhd. Are you longing to go to Japan and have been searching for the ideal package tour Japan? The chances are very high that you are since you are reading this article. Finding the ideal package tour to japan can sometimes be overwhelming with the different packages offered. The good news, however, is that HelloHolidays.com can offer some tips and advise on this aspect. With extensive knowledge and experience in the field of providing quality, efficient and top-notch service in the travel industry, readers of this article will receive first-hand insight on the different package tour Japan that is specific to all their travel including all the necessary documents and procedures involved where concerned. Japan tourism, as many are aware, have been on an increasing trend over the years due to its rich history and culture as well as its many different tourist attractions. Its people, who are known to be friendly and polite to tourists from all over the globe are also an added attraction. Package tour Japan, as a start, needs to include a Hokkaido tour due to its captivating beauty. There are many tours of japan that include Hokkaido as a must-see in its packages. Whether you are there on a business trip or for leisure, whether you are traveling alone or with your family/friends, Hokkaido offers so much to the travel aficionado. The versatility in this gives travelers a chance to witness among many of Japan’s pull to the world. Another great thing about visiting Japan is the different seasons in the country in its Package tour Japan . With reference to Hokkaido tour above, traveling to Japan during the Winter is also a must for all those who love playing in the snow. There are tours that cater to everyone with different needs and preferences but one thing for certain is that Winter in Japan is a must-see for everyone that loves to travel and holidaying. Another important aspect of Package tour Japan is the easy availability of ‘Halal’ food to Muslim travelers. It is not uncommon to find food that caters to Muslims from all over the world given the many different offerings available. The following article is among the articles emphasizing on the increasing availability of Muslim-friendly eateries throughout Japan http://food.ndtv.com/food-drinks/japan-becoming-muslim-friendly-with-halal-food-and-more-695603. With the different package tour Japan offered by Hello Holidays, you can be sure of a Japan trip that is well-planned. All you have to do is to get yourself packed and get ready for the holiday of your life – leave the rest to us! Regardless of the time of the year, you can almost be certain of finding Japan tours that is appealing and make you want to start planning to go one one immediately! With increasing stress reported among the average community due to the lack of time for exercising as a start, the need for great stress-relievers is at an all-time high. With that in mind, Hello Holidays have worked diligently to come up with an assortment of outbound Japan Holidays to combat stress among the community today. With its experience, expertise and abundance of resources at their disposal, the travel agency have garnered rave reviews and feedback from its fledgling fleet of loyal customers for their varied packages. Regardless of an individual or group’s special interest, there are bound to be Japan tours that cater to the varied lifestyles of each and every person. For illustration purposes, say you are planning to go on a business trip to Japan. Hello Holidays will offer a package that will ensure you of a carefree trip to Japan, centering around your business meeting schedule and to include additional activities where and when seen fit. With our experience staff, our guarantee and edge is to provide services to ensure that all packages pertaining to Japan holidays are flawless with quality second to none. In addition to these packages and tours, Hello Holidays also provide a long list of products and services that ensure an unforgettable holiday experience. These include worldwide accommodation reservations, coach rentals, airport transfers and visa applications. The tagline of We always make your travel happier is spot on. In other words, we will always give value-added services to ensure our highly-appreciated customers’ satisfaction. Korea Tourism on A Steady Incease. Why Is That So? Often than not, when people refer to Korea Tourism, they are generally referring to tourism in South Korea or The Republic of Korea. According to Wikipedia, Korea is the 20th most visited country in the world and 6th in Asia in 2012 with 11.1 million tourists. This number has been steadily increasing over the years with many tourists from all over the world flocking to visit the myriad of korea attractions available. in a steadfast demand in korea travel and korea tourism. This surge in popularity can be attributed to the rise in appeal and popularity of K-Pop and K-dramas, largely helped by the Internet through Social Media sites and the popular YouTube video site. As many would have been aware, the Korean Wave’s popularity continues till this day and show no sign of slowing down. Fans from all over the world are following the music and dramas of K-Pop groups and series. With that in mind, Korea travel package to visit all the popular Korea attractions in South Korea predominantly are largely popular among holiday-makers. Many of these tourists hope to relive the special moments of the scenes in such dramas due to its beauty depicted. Regardless of the time of the year and whether you are bit by the Korean Wave bug or not, Hello Holidays would have the right Korea travel package to suit your needs and preferences. With a host of packages offered, we are certain that there would be one to suit you and your loved ones perfectly! Do not hesitate to contact us today to embark on your journey to a wonderful Korea travel. Korea, as most of us are aware, is a country that is fascinating, well known for its Korea attractions which includes their world-dominating K-Pop and beautiful dramas among other things. Korean holidays have since blossomed since the popularity of the drama, movie and music industries. Tourists from all over the world travel to Korea to visit sets used in the filming of popular Korean tv series. The more popular these series or movies, the more attractive these sets would be to tourists and holiday-makers. It has almost become an obvious inclusion for all Korean holidays today. When planning to indulge in Korea attractions, it would be helpful to narrow down your area of interest/purpose of travel. It could be for a leisure/holiday alone, a business trip, nature trip, honeymoon, adventure-based holiday or a holiday for the entire family involving young children. Each and every aspect would welcome you to different parts/aspects of the country in your travel to Korea. It is also important to get as much information as you possibly can regarding your Korean holidays attractions. As a start, at Hello Holidays, there would be ground tours as well as group tours. These tours are conducted in either Mandarin or English. You wouldn’t want to find yourself booking a Mandarin conducted tour when you are only English speaking. Another important aspect when you plan to visit Korea attractions is also to know the different seasons experienced by the country. As an example, it would be a huge disappointment should you plan to experience the beauty of the Spring season in Korea when it’s winter. Not that winter in Korea is any less majestic; it all comes down to personal preferences and what the tourist intend to see, do and go. Regardless of ground tours or group tours in your travel to Korea, Hello Holidays will be able to offer the ideal solution to all your holiday and travel needs. With vast experience in the travel and tour industries, you can mark your calendar for a most unforgettable time in Korea. Contact one of our friendly and helpful staff and let us show you what you can’t afford to miss today. Hello Holidays is featured in Jalan Jalan Travel Magazine for Matta Fair KL 2013, which is going to be held from 15th to 17th March 2013 at Putra World Trade Centre (PWTC) Kuala Lumpur, Malaysia. 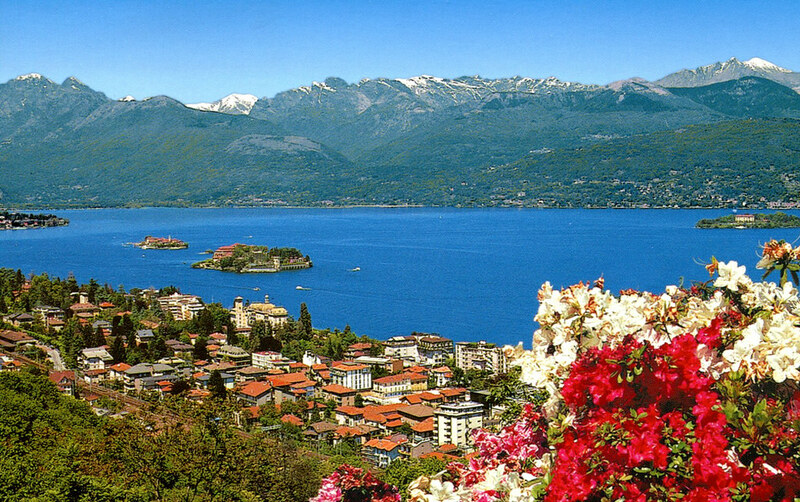 This June my wife and I,both in our 60’s, flew from Manchester, England, to spend a few days at Lake Maggiore in Northern Italy. It was a fabulous short break,despite the bad start,and we will certainly return. Italy has always been one of our most favourite countries to visit and a few years ago we visited Lake Garda so this time we thought to revist the area but look elsewhere and see more of the spectacular scenery. We booked a low cost airline, Monarch, from Manchester to Milan(Malpensa), which was cheap and comfortable although it was four hours late in departing. Our flight into Milan was due to arrive around 6:30pm but didn’t arrive until about 10:30pm,further delays at the airport meant our bus from the airport into Milan arrived in the city centre just after midnight. Fortunately we had pre booked our first night at a hotel in Milan city centre as we had thought it might be too late to travel on to our destination resort of Stresa,situated on Lake Maggiore. The hotel was a 5 minute walk from the bus station (right outside the main train station). We checked in and went straight to bed instead of going out for the evening dinner we had planned. The hotel was extremely comfortable and we had a superb breakfast in the morning. We decided to spend the morning in Milan before getting a train to Stresa. After breakfast we walked to the train station and after checking train times to Stresa we walked into the city centre. Milan is beautiful and we visited the Duomo which is an incredible building. Our visit there and to the surrounding area made the problems of the previous day seem worthwhile. After lunch in a local cafe we walked back to the station, picking up our luggage at the hotel, and got our train to Stresa (about 10 Euros). The journey took about an hour and 30 minutes and the scenery got more and more beautiful as we approached the mountains. Stresa was gorgeous and the mountain scenery around was breathtaking. Our 4 star hotel (Regina Palace )was a fabulous looking building, dating back to the very early 20th century. It can only be described as sumptuous. Our room,complete with Juliette Balcony, had a beautiful view to the hillside and gardens behind the hotel. (A room with a lake view would have been even better). The hotel was everything that we had hoped for and once again the breakfasts were great. The hotel was situated right on the lakeside with views across the lake to the Borromeon Islands. We spent three days in Stresa (Earnest Hemmingway stayed here). The local restaurants were great and reasonably priced, we had only booked breakfast at our hotel as we both enjoy eating out in the evening. The weather was around 28-30 Degres C with sunshine virtually all day. We did have a brief thunder and lightening storm on our last evening but it only lasted about 90 minutes and was actually quite spectacular with the lightening flashing over the distant mountains. There was not much in the way of shopping in Stresa but that was not the purpose of our visit. One day we took a short boat trip to the Borromeo islands, they were lovely and even had a spectacular Palazzo and gardens to sightsee. Apparently Napoleon Boneparte visited and stayed there accompanied by his wife Josephine. Another day we took a train trip on the Maggiore Express and travelled across the mountains into Switzerland and spent a few hours in Locarno before travelling back down the lake by boat to Stresa, calling in at the various small ports on the way. This was indeed a lovely day with views of the mountains and lake that were truely memorable. On our third day we caught the cable car to the top of mount Mottarone.Once again the views were superb and there was a small cafe to sit and admire the surroundings. Our return flight was on time and we were back home at Manchester airport by mid afternoon. Despite our initial travel difficulties this was indeed one of our best weekend breaks and with lots of photographs to look back on is one that is sure to stay in the memory banks for many years to come.